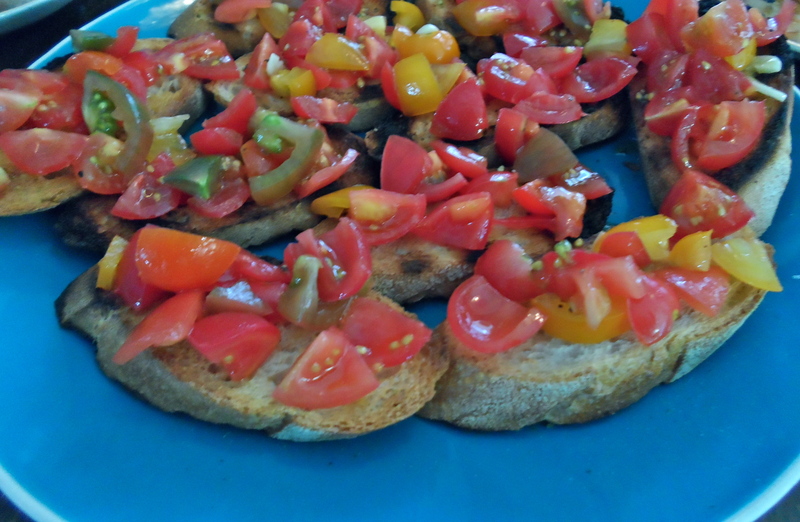 Now that its tomato season I’ve started adding bruschetta to our dinners. This is the sort of dish that seems too easy to call a recipe and so simple you wouldn’t think it could taste that special… but it does. 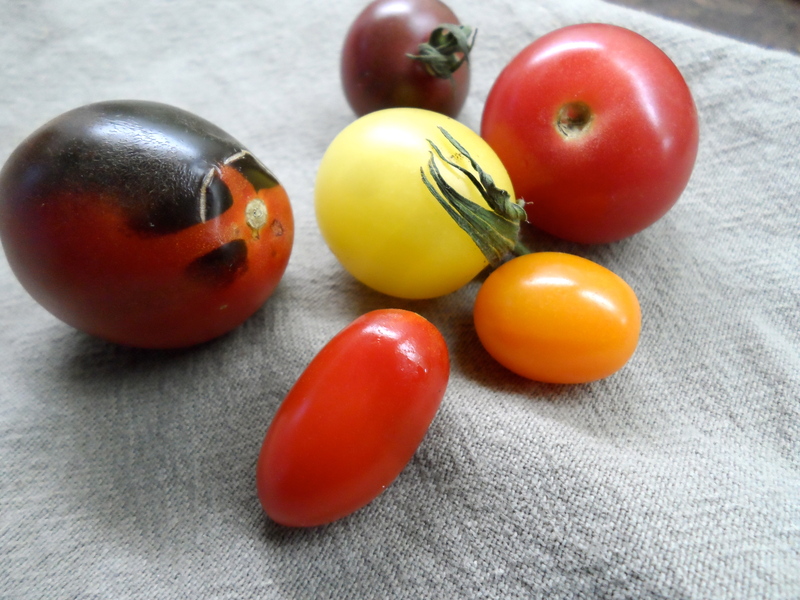 With the right tomatoes, you can’t go wrong. And I don’t think you can get anything but the right ones these days. Mix everything but the toast & let sit for 10 minutes, or so. 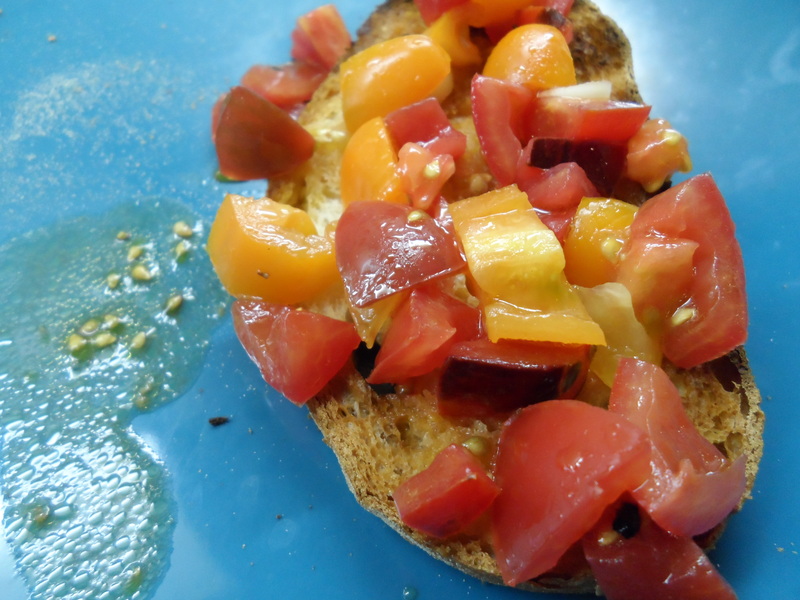 Top the toasts and enjoy, with oil and tomato juice running down your arm.